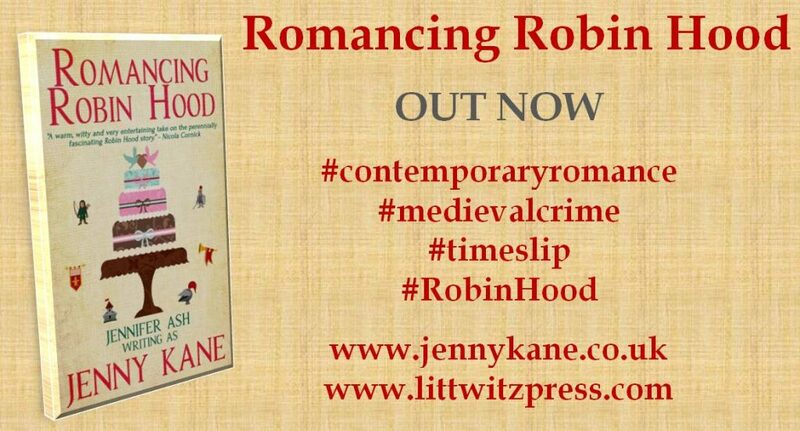 My timeslip novel, Romancing Robin Hood, has a special place in my heart for many reasons . 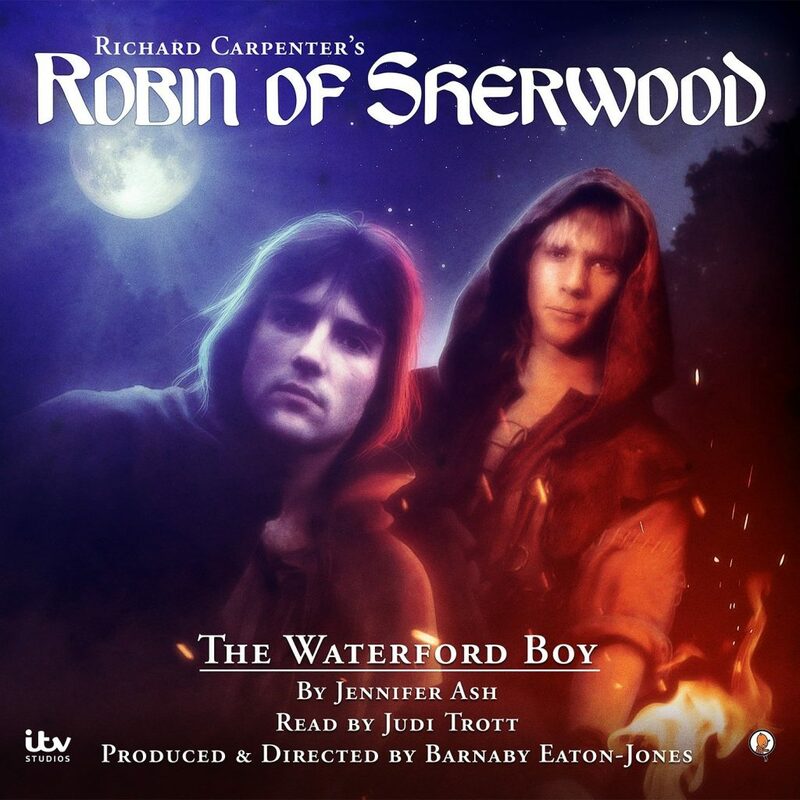 It reflects a great deal of my own life within its many pages- it gave me by first taste of writing medieval fiction (the novel is part modern romance and part medieval mystery)- and it gave me a chance to doff my hat to all those who were involved in the recording and production of the ITV series, Robin of Sherwood- a formative part of my upbringing. Dr Grace Harper has loved the stories of Robin Hood ever since she first saw them on TV as a teenager. Now, with her fortieth birthday just around the corner, she’s a successful academic in Medieval History—but Grace is stuck in a rut. Grace is supposed to be writing a textbook on a real-life medieval criminal gang—the Folvilles—but instead she is captivated by a novel she’s secretly writing. A medieval mystery which entwines the story of Folvilles with her long-time love of Robin Hood—and a feisty young woman named Mathilda of Twyford. Just as she is trying to work out how Mathilda can survive being kidnapped by the Folvilles, Grace’s best friend Daisy announces she is getting married. After a whirlwind romance with a man she loves as much as the creatures in her animal shelter, Daisy has press-ganged Grace into being her bridesmaid. Witnessing Daisy’s new-found happiness, Grace starts to re-evaluate her own life. Is her devotion to a man who may or may not have lived hundreds of years ago really a substitute for a real-life hero of her own? Grace’s life doesn’t get any easier when she meets Dr Robert Franks—a rival academic who she is determined to dislike but finds herself being increasingly drawn to… If only he didn’t know quite so much about Robin Hood. Suddenly, spending more time living in the past than the present doesn’t seem such a good idea..
Little did I know when I wrote Romancing Robin Hood that the book itself would give me a chance to thank the actors and behind the scenes team who worked on the show over 30 years ago- in person. This weekend I am attending my second Hooded Man Event – this gathering (evey 2 yeaars) brings fans of Robin of Sherwood together- along with the stars themselves- to talk all things RH and medieval. It is a lot of fun and one of the friendliest events I have ever attended. Last time I went- thanks to my novel- to sell books from a stand in the corner of the room. I stood and watched the world go by in a sort of RH heaven. This year however, I am selling 3 books- Romancing Robin Hood, The Outlaw’s Ransom and The Winter Outlaw. The latter 2 books are the direct result of comments made to me at the last event by kind readers. I will not be staying behind the safety of my book year – on Sunday afternoon I will be up on the main stage with fellow writer, Tony Lees, talking about writing audio scripts for Robin of Sherwood. I am still not sure I can quite get my head around that I do that- but I do!! 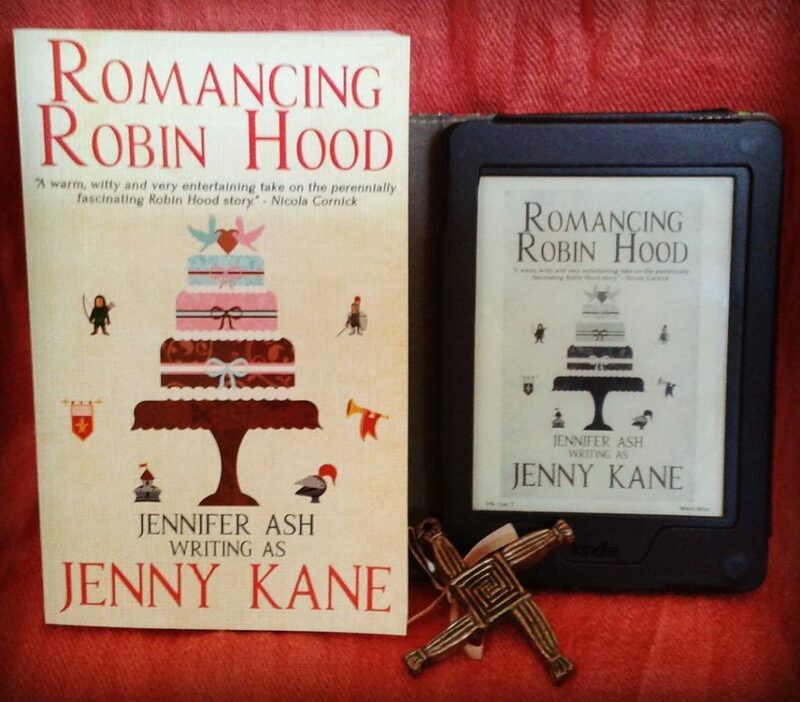 And all because- four years ago- I wrote a novel called Romancing Robin Hood… I owe that novel BIG time!! So why not treat yourself to a little something to read this weekend while I am away talking to the merry men- and a couple of Robins!